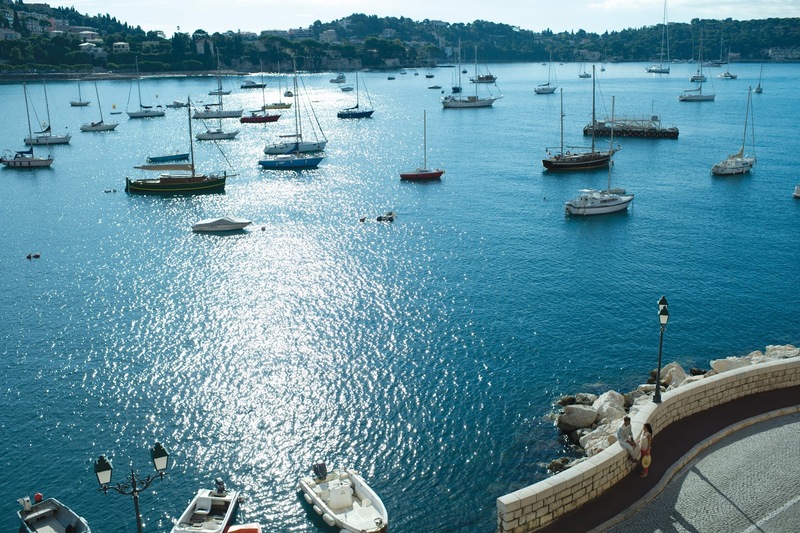 4 Great Celebrity Cruises offers in the Mediterranean! 12nts All Inclusive, 5* Cruise Line!! Call our cruise department on 01 4081999 for more details! Don't miss out offers end 29th February. Ovation of the Seas, the countdown is on the 14th April! 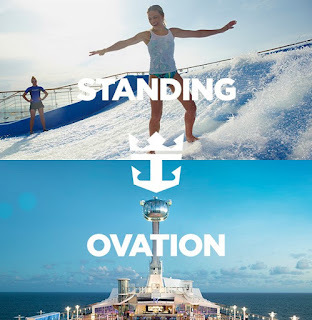 It’s almost show time for Royal Caribbean’s latest ship, Ovation of the Seas℠ and we cannot wait!! The third ship to join their ground-breaking Quantum Class and boasting some of the most incredible features in the fleet, this is one experience that definitely deserves a standing ovation, and you can experience it all for yourself when she arrives in Southampton this April! And if you weren’t excited enough already, Royal Caribbean have just announced that for one sailing only, Ovation of the Seas℠ is heading to beautiful Rotterdam on a new 3-night sailing on 14th April. Cruise Deal of the Day!! 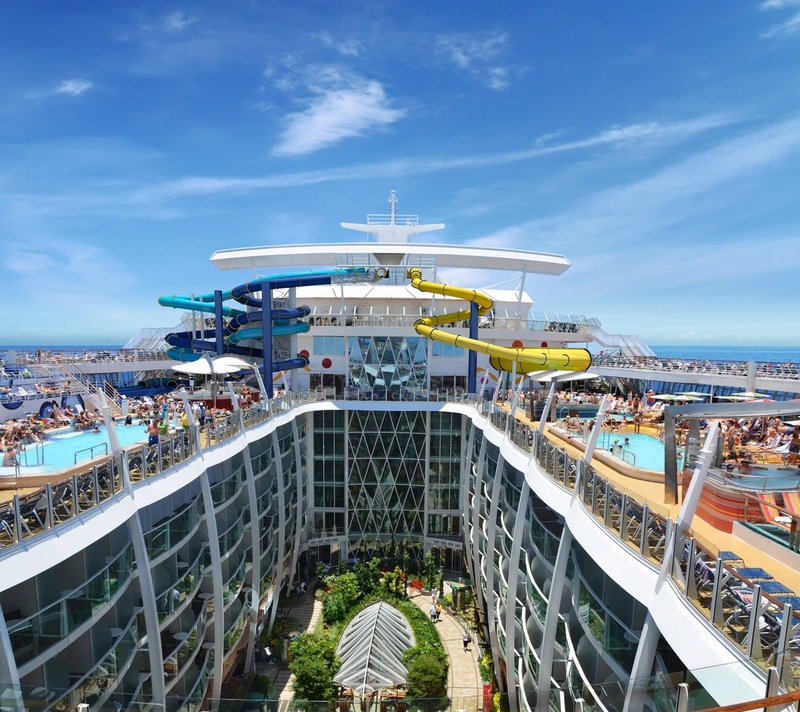 Harmony of the Seas 7 night Southampton to Barcelona Fly/Cruise 29th May from €1029 per person sharing. 2 Day tour to visit Great Wall-Badaling and Ming Tombs-Changling and Forbidden City, Temple of Heaven, Summer Palace. Ports of call: Beijing – Busan, Republic of Korea (South Korea)- Nagasaki, Japan – Two days at sea – Hong Kong. After the cruise the couple enjoy an overnight in Hong Kong with a full day tour of Hong Kong Island. 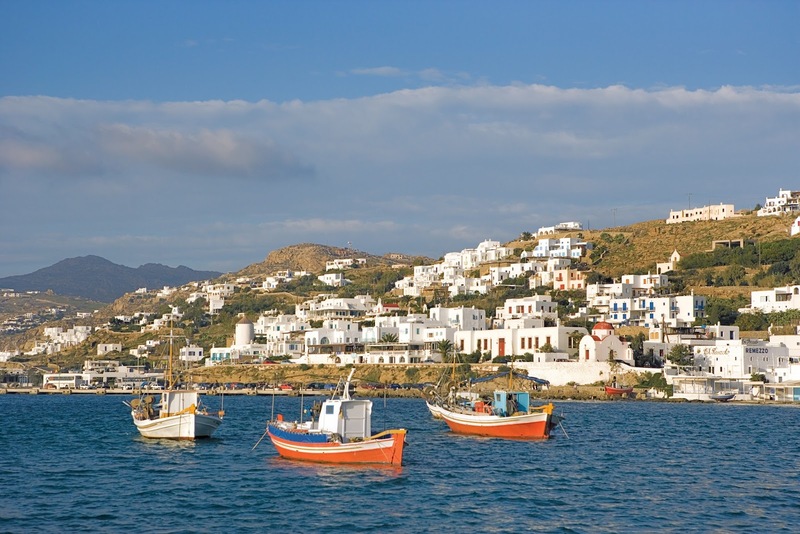 Prices from €2349pps based on 19th October departure. Price includes return flights, transfers, over night hotel stays in Beijing and Hong Kong, tours, 6 night cruise and all taxes. For more details call our cruise department on 01 4081999. 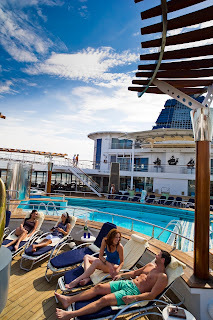 Holland America... 5 Star Cruising! 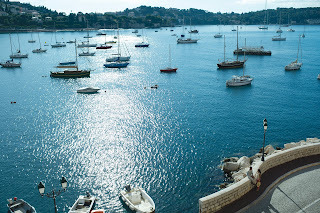 Holland America " Let us how you the World as only we can, and make your holiday one you'll never forget"
On a Holland America Cruise, each day is your to take advance of the wide range of activities or relax and do nothing at all. Holland America mid sized ship serves as your luxurious hotel and hotel and home base, featuring award winning restaurants and elegant staterooms. 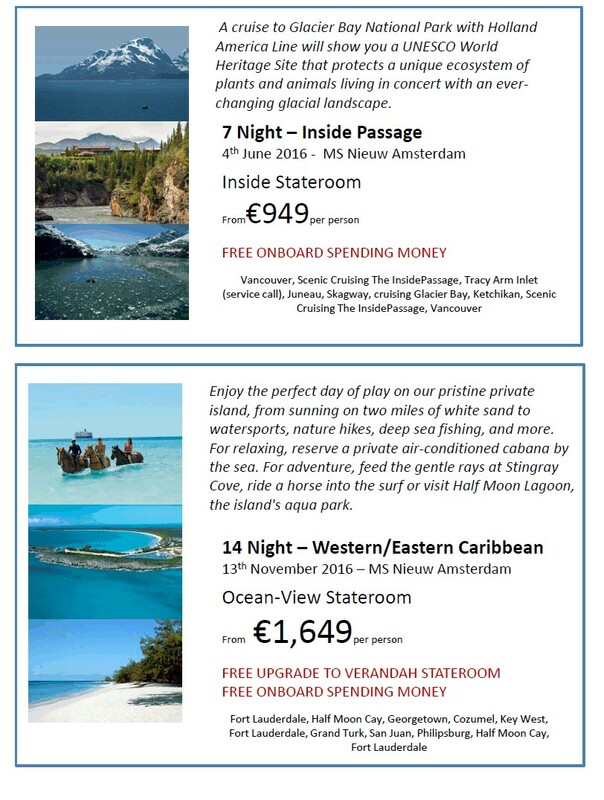 Some amazing 5 star cruise offers! 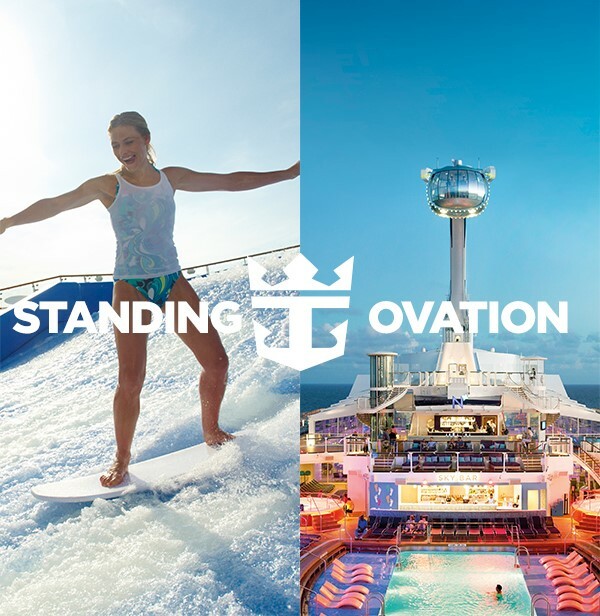 It’s almost show time for Royal Caribbean’s latest ship, Ovation of the SeasSM and we cannot wait! A brand new DreamWorks Experience, that’s more fun than ever before. You can experience this amazing ship for yourself when she arrives in Southampton this spring, sailing to amazing European destinations in France, Belgium and Spain before starting her Global Odyssey and home porting in China. Ovation of the Seas first sailings from Southampton. Southampton, England; Cherbourg, France; Paris (Le Havre), France; Bruges (Zeebrugge), Belgium; Southampton, England. Southampton, England; Gijon, Spain; Bilbao, Spain; Paris (Le Havre), France; Cherbourg, France; Southampton, England. Ocean View for the price of an Interior. Includes flights from Dublin. January 2016 has been a good month for Irish travel bookings and sales are up as much as 46% for some agents with many holidaymakers cruising the luxury end of the market. 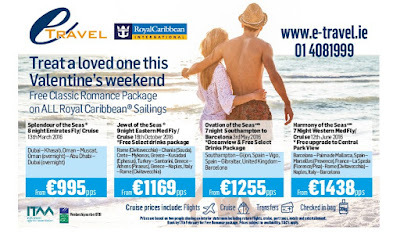 Irish cruise specialist e-travel.ie says almost 58% of cruise sales are for four-star ships and 35% for five-star ships but the luxury cruise liners are fast becoming the preferred option for customers. However, as the purse strings are loosening and luxury is back on the bucket list, enduring lessons learned during the recession mean that value for money is still a priority. The world has changed. Tastes have changed. Modern luxury is airy spaces with all the right, tasteful details, restaurants where the design is just as important as the cuisine, intuitive service with a keen eye for detail, and doing as much or as little as you choose. Cruise ships are often referred to as floating hotels and in some cases they are more like floating cities. You can choose the massive ships like Royal Caribbean’s Harmony of the Seas which can carry almost 8000 passengers and crew, or a smaller intimate river cruises which carry less than one hundred passengers. · Eight more ships are scheduled to arrive in 2017, another eight in 2018, and six in 2019. · The order books are already filling up for 2020 and 2021. Among them, three for Richard Branson’s Virgin Cruise Line, and three luxury vessels for the fast-growing Crystal Cruises. According to latest figures by leading Irish cruise specialist e-travel, 42% of Irish cruisers are now under 40. This represents a 20% increase since 2014 and shows the rapidly changing profile of cruise passengers from Ireland. 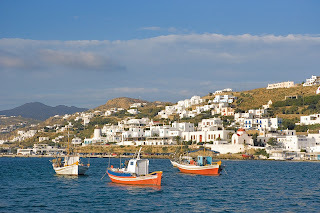 The average price paid in 2015 for a fly cruise package was €1476 in 2015 versus €1383 in 2014 and stateroom sales breakdown to approximately 65% balconies, 28% inside and 7% ocean view. So far in 2016 the trend seems to be upwardly mobile to the 5 and 6 star luxury liners like Celebrity, Silversea, Cunard and Crystal Cruises. Established in 1997, e-travel is now one of Ireland’s leading independent travel agents, specialising in cruising as well as flights, long-haul and online bookings and are the only 100% Irish owned and managed online agency in Ireland. 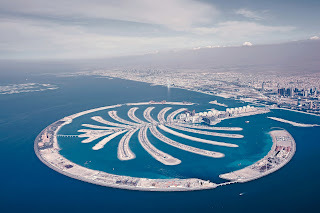 Imagine the spectacular glaciers and silent fjords of Alaska, paradise on the Caribbean coasts, the cultural splendour of European cities on a Mediterranean Cruise or broaden your horizons even further to destinations such as Dubai, Hong Kong, Shanghai, Singapore, Australia and New Zealand with exiting itineraries departing from the Middle East and Far East. e-travel’s award winning team offer expertise and advice, early booking discounts, onboard credit, champagne in your cabin and lots more! 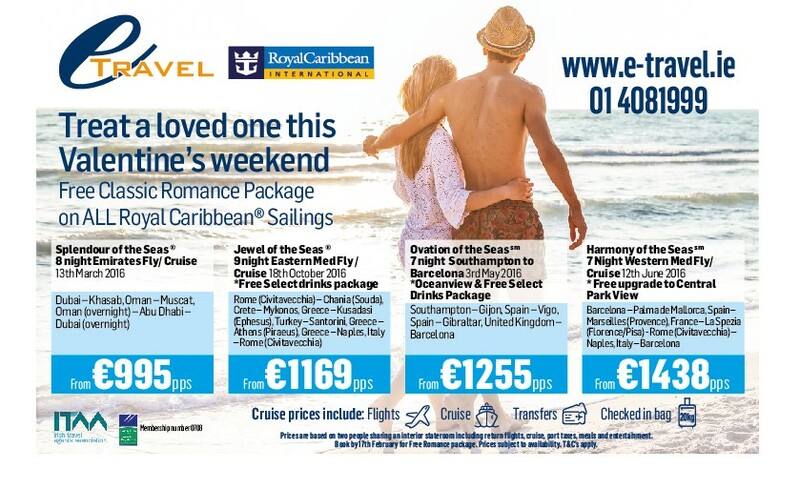 The e-travel Cruise department can be contacted on 01 4081999 or www.e-travel.ie. Oceanview & Free Classic Drinks Package! Oceanview & Free Classic Drinks Offer! 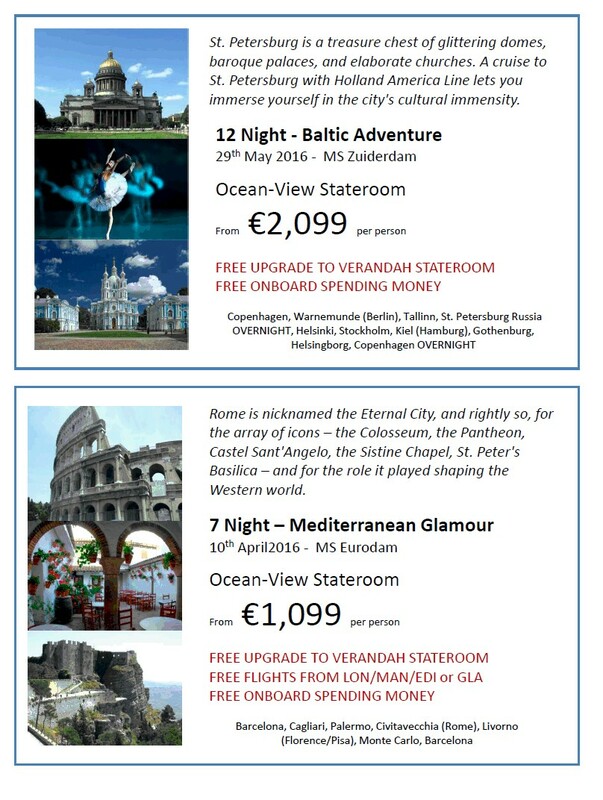 Celebrity Reflection offers 7 nigh Eastern & Western Caribbean itineraries in the winter from Fort Lauderdale and 10 & 11 nigh Eastern Europe - Greek Isles & Italy from Rome from Jun - Oct - a fantastic ship only 3 years old and won the Best Ship in Europe by Cruise Critic in 2015. 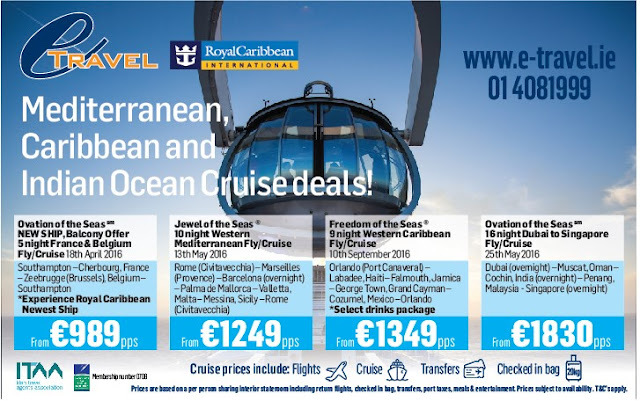 Mediterranean, Caribbean and Indian Ocean Cruise deals! We are offering you the chance to combine the experience of cruising on the newest, most innovative ship in the world while seeing the exotic ports of India, Mayaysia and Singapore in their Dubai to Singapore Fly/Cruise Package. Start your holiday in the cosmopolitian city of Dubai where you can wander the stalls of souks, take in sites of the Juneira Mosque, Dubai's most-photographed structure, go on a four-wheel-drive adventure in the desert or even ride a camel. In Oman, you’ll make a stop off at the historic post of Muscat which means ‘safe anchorage.’ Cochin, the old Keralan spice city on the far southern tip of India, is an area of dense tropical forests and extensive ridges and ravines. One of Malaysia’s most diverse and cosmopolitan areas, Penang offers palm-fringed beaches, fishing villages, mountainous jungle and farms growing exotic produce such as nutmeg and durian. It’s also known locally as the “food paradise” of Malaysia. 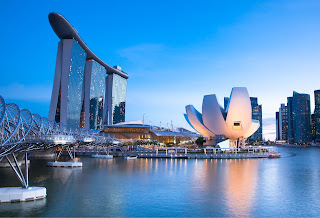 Singapore offers a variety of ethnically diverse neighborhoods to explore, from high-rises in the city, tea houses in Chinatown, mansions in the colonial district, Victorian-style government buildings, Hindu temples and Arabian bazaars. As well as all of this, you will have plenty of time to relax and explore Royal Caribbean’s Ovation of the Seas ship. 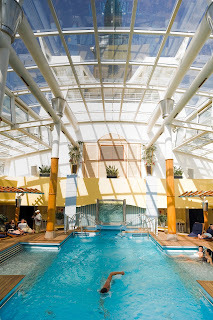 There is a host of amazing entertainment options on board from the dancing Roboscreens to the Sea-Plex, the largest indoor sports and entertainment complex at sea with dodgems, roller skating and more. Other fantastic activities include the RipCord by iFLY, the first skydiving experience at sea, and North Star, an engineering marvel that transports guests more than 300 feet above the ocean. Price includes: Emirates flights, transfers, fullboard, unlimited beer, wine by the glass, soda fountain, port taxes, air taxes & generous 30kg checked baggage. 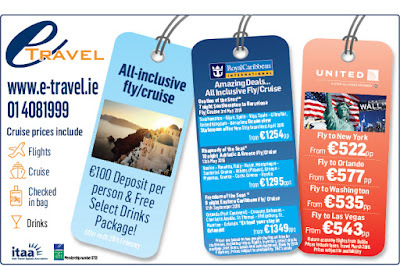 I just wanted to highlight to you a few great deals with Celebrity Cruises where we still have direct flight allocation from Dublin! PLUS FREE CLASSIC DRINKS PACKAGE! 3rd/4th Guests also get FREE DRINKS!